I have been a fan of Jann Arden since she first came out with Insensitive from her Living Under June CD in 1994. It's been a long time but she has finally come out with a Christmas CD, A Jann Arden Christmas. To promote the CD, she put on a free performance on the Waterfall Stage at First Canadian Place. 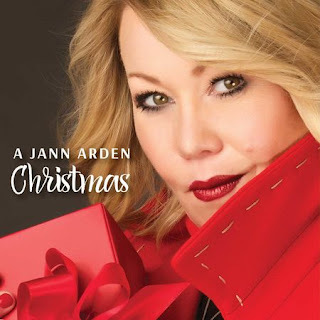 I am not a fan of Christmas music but if I heard that Jann Arden was going to sing the alphabet, I would go see it. Not only does she have a great voice, but she is also gifted with a great sense of humour. The session started with a short interview. Another guitarist, who also sang harmony, accompanied Jann on stage. She sang a few Christmas carols, starting with her favorite, Silent Night, which I recorded and is posted at the bottom of this post, and ended with Good Mother, one of my favorites. At the end, Jann stayed on stage to sign CDs. Of course, there was a long lineup but She took her time with each person to chat. This is the first time I have seen her live, which is hard to believe. One day I hope to see her do a full concert. Here she is doing Silent Night from her concert today.